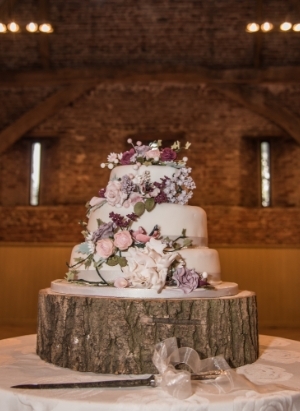 Lucie and Craig beat the chills on their big day with a warm welcome and special personal touches. 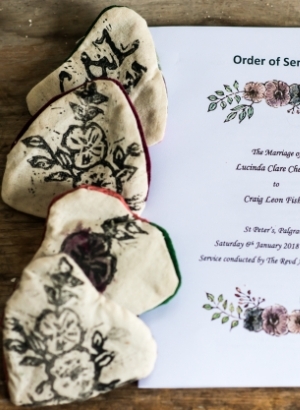 Lucinda Cheshire married Craig Fisher at St Peter's Church, Palgrave, followed by a reception at Elms Barn, Beccles on 6th January, 2018. 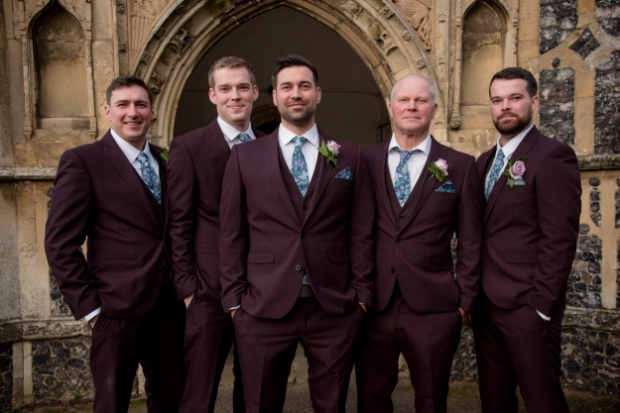 Craig and his groomsmen all wore burgundy-coloured three-piece suits with ties and pocket squares I made in a Liberty print fabric. 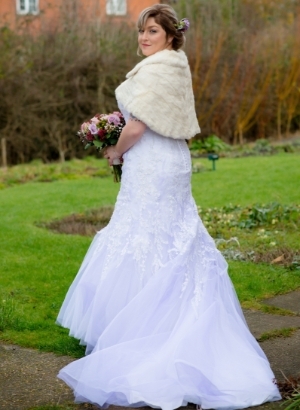 I had my Maggie Sottero Gloria dress altered with purple net added underneath to make it feel really individual. I also made a flower wreath headdress to go with it. We, mainly my mum that is, made and sewed more than 100 heart-shaped hand-warmer holders to help keep our guests toasty in the church. 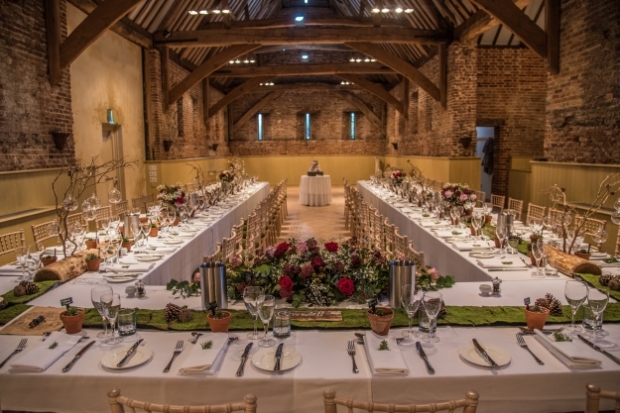 We knew from the outset we wanted to have our wedding reception in a barn; somewhere we could add personal touches to make it our own. 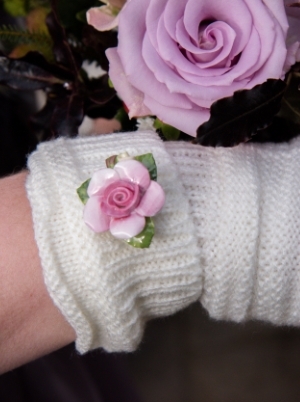 I bought my best girls faux fur wraps and gloves which I embellished with vintage brooches. I also made them earrings and hair combs to match my flower crown. 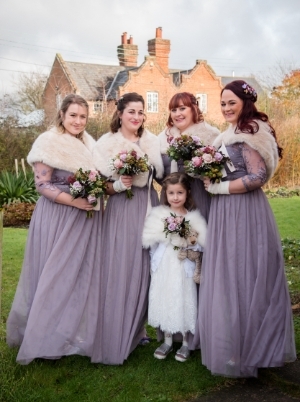 Finding something to suit all my bridesmaids and keep them warm was tough. We eventually found Little Mistress dresses with sleeves and long skirts so they could have layers underneath if they wanted. 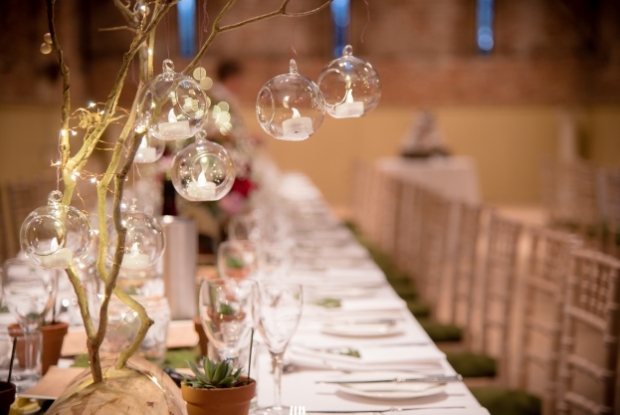 Our neighbour helped us with the log slices and mini trees which we decorated with hanging tea light baubles and we also had a moss table runner. 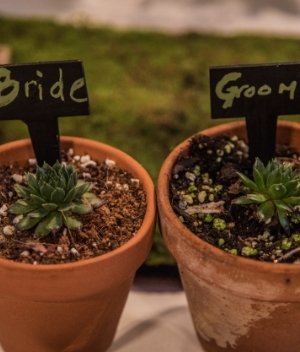 We grew more than 80 succulent plants as wedding favours as we wanted our guests to have something they could see and look after to remember our day. 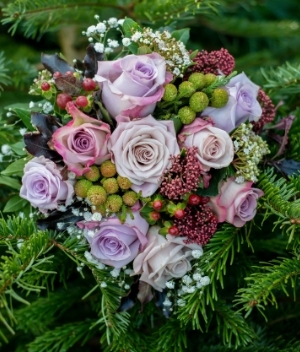 The flowers were a mix of pink, purple and red roses with berries and foliage. 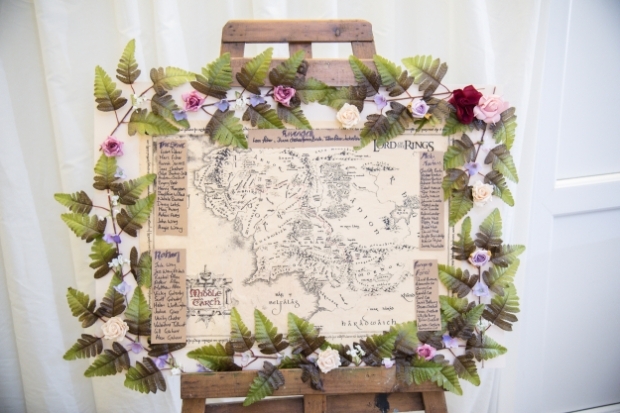 We made the table plan ourselves using a map from The Lord of the Rings and places from Middle-earth for the table names. My grandmother made our cake and brought it with her all the way from Leicester. We booked a DJ for the evening who was fantastic. 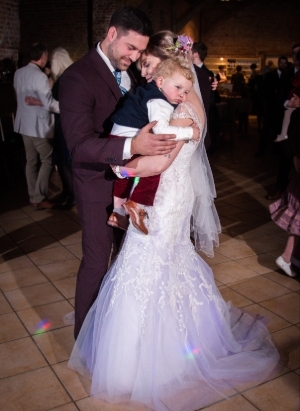 He played a mix of indie music and '90s tracks from our youth, which kept the dancefloor busy all night.